I tried to go to a museum last weekend, but it was closed, and somehow I ended up at a mall. How do these things happen? Maybe fate, maybe supernatural forces; there’s plenty of both to go around in Central Java. Anyway, once there I was struck by the need for an Es Teler. But Es Teler was jammed so I went directly to their competitor, Mr. Baso (Mr. Meatball). I brought along a teen novel for company. 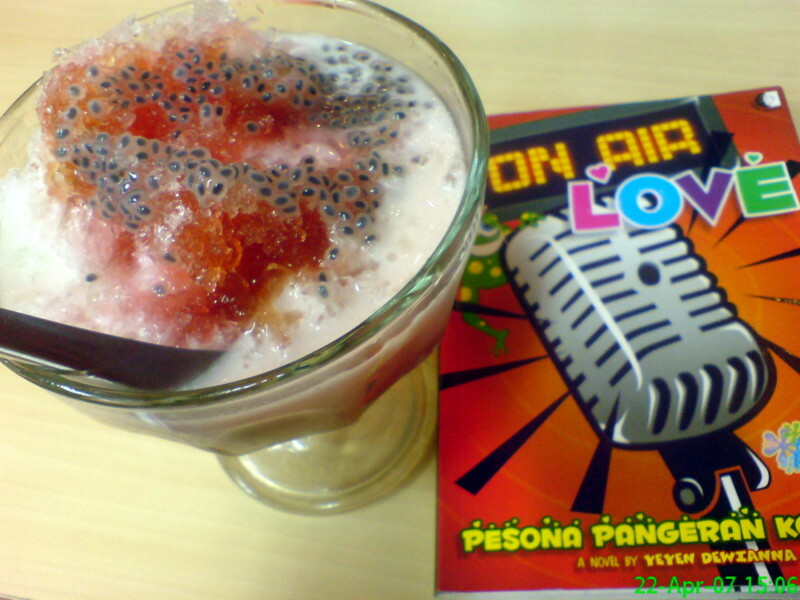 Es Mr. Baso is topped with passionfruit, which always looks like something that crawled onto your drink and died. The seeds add a nice crunch, though. 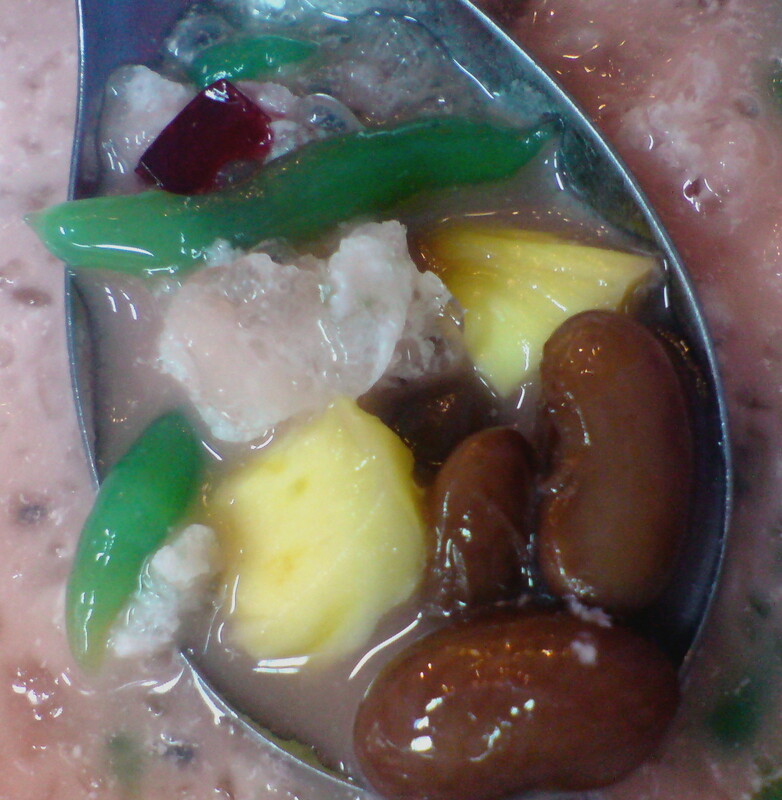 Underneath were jackfruit, red beans, squares of red gelatin and long wormy pieces of green gelatine, slathered with a generous pour of coconut milk. Mighty tasty, especially if you can suspend the notion that red beans belong in a pot of chili. 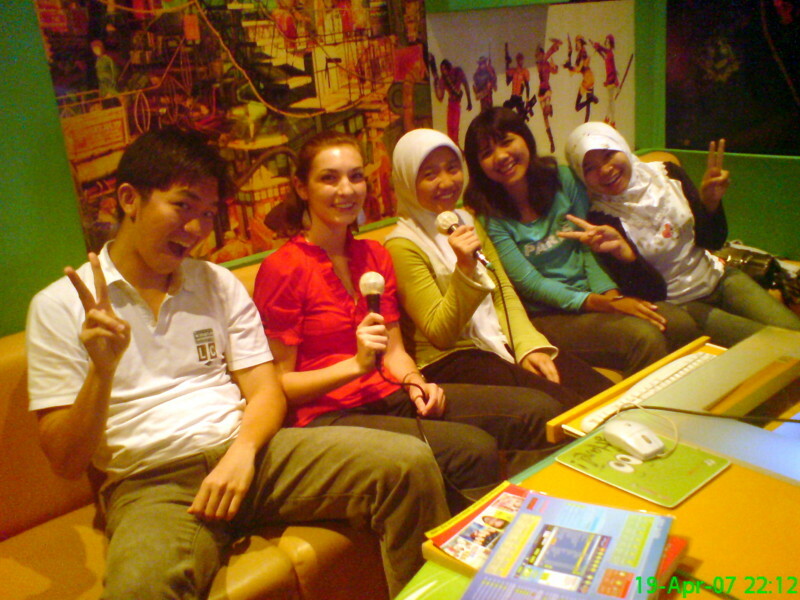 The last two Fridays, I’ve gone down to the Happy Puppy karaoke palace after school with some of the teachers and fellow students. Happy Puppy is sort of a karaoke house-of-ill-repute: you rent private rooms by the hour to indulge your basest singing desires. In our case these range from Barry Manilow to Bon Jovi. There’s a big screen that shows sometimes-mangled versions of the lyrics superimposed on random videos of New Zealand beaches, women romping in fields of flowers, people jumping on trampolines, and so forth. I went to see some traditional theatre last night, and by “traditional” I mean I had no idea what it was about, because it was mostly in Javanese. 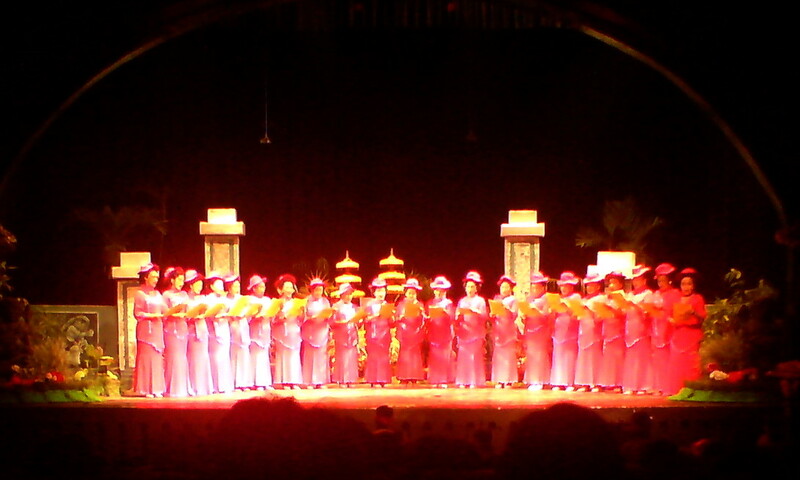 It was an all-woman comedy in honor of Kartini Day, which is Indonesia’s version of a Women’s Day. It was fun: the costumes and music were cool, and I liked the actors. You figure somebody is a pretty good comic actress when she’s amusing to watch even if you can’t understand what she’s saying. I don’t know much about kethoprak, which is what this sort of theatre is called, but I think it’s generally about court life in the days of the old Mataram kingdom. I suspect there are standard plots and themes the playwright can riff on. 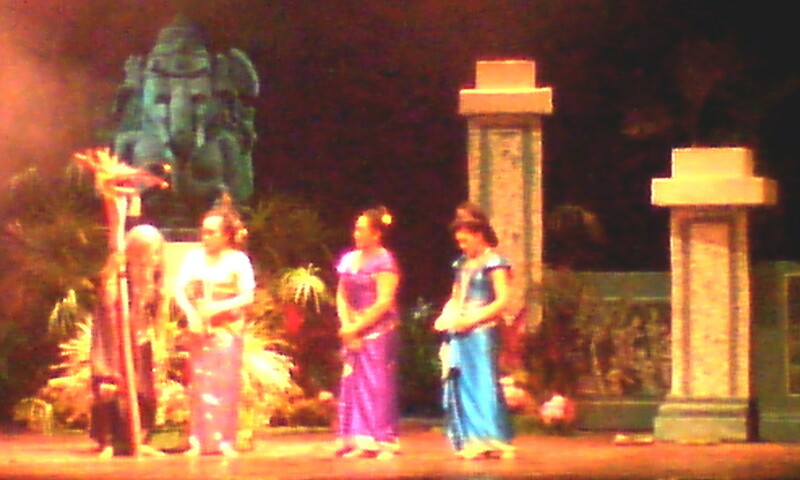 The scene changes and some of the action were accompanied by live gamelan music. I’m still down in Yogya and haven’t been able to post pictures till now because the internet is so slow. Hopefully, today’s good luck will continue. I went out with some of my JP colleagues to celebrate my last night the way I celebrated my first: with cheap beers on Jalan Jaksa. 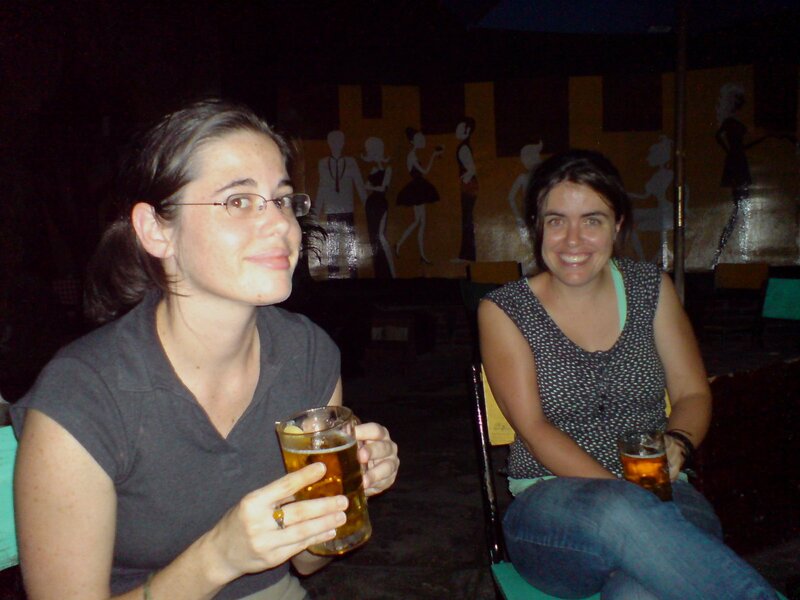 Now I’m down in Yogya getting more language classes in, so posts may be infrequent for a couple of weeks. It’s fun to be back at Realia doing battle with causative and benefactive verbs (don’t ask!) and speaking the language six hours a day. Whets the appetite for gudeg, too … more on that later. Today I made a key discovery at a humble-looking warung around the corner from us: papaya flowers. Papaya flowers are a specialty of Manado, on the northern tip of Sulawesi island. They have a rich dark-green flavor like spinach, but more bitter. They’re often cooked up with a bit of smoked tuna and some spicy chilis, which cut the bitterness. 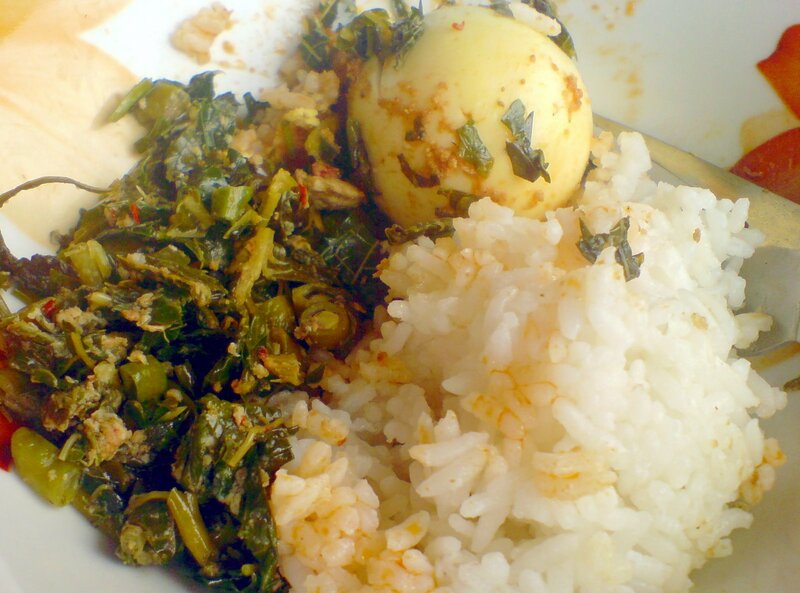 On the side is one of the many kinds of hard-boiled egg in spicy sauce. It was a very tasty lunch for 62 cents, which explains why we don’t bother cooking much. We’ve become big fans of Manadonese food; someday we hope to come up with a work-related excuse to go to there and eat. …. 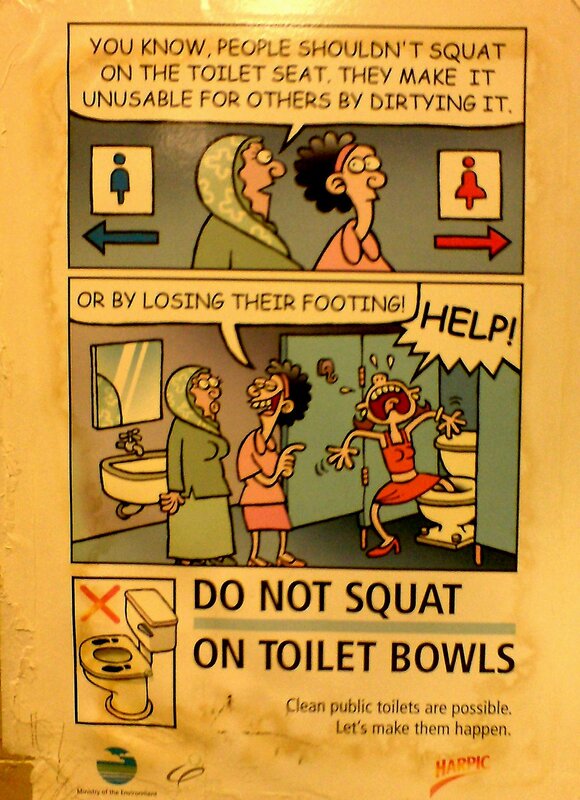 this time from Singapore, home of the World Toilet Organization. I recall reading about a major campaign in Singapore to ensure that people flushed public toilets after using them, during which the authorities not only imposed heavy fines, but stalked restrooms and published photos in the newspaper of people who were caught in the act of flush negligence. There are also fines for urinating in elevators. As to why anybody would pee in an elevator, I don’t know, although someone described it to me as an act of protest. 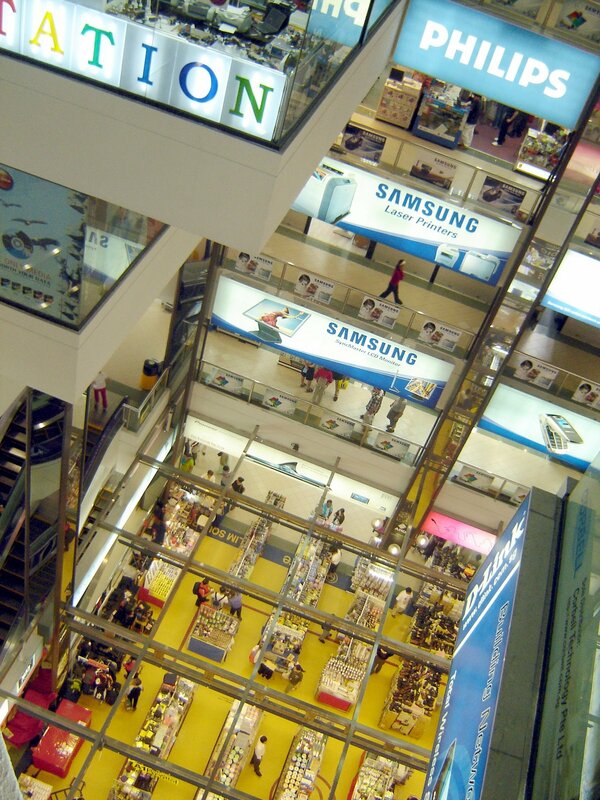 The nice thing about the Sim Lim electronics supermall in Singapore is that the salespeople don’t hassle me. The annoying thing is that the salespeople don’t hassle me because I’m a woman; they assume I’m just killing time while my boyfriend/husband shops for a Playstation or whatever. They only try to sell me stuff like foot massagers and pretty little bags for my cellphone. I was hoping to buy a new broadcast-quality digital audio recorder, but they didn’t have any. I wasn’t surprised. With internet shopping, and the boom in all kinds of digital stuff, it’s harder and harder to find actual stores that sell serious audio recording gear. 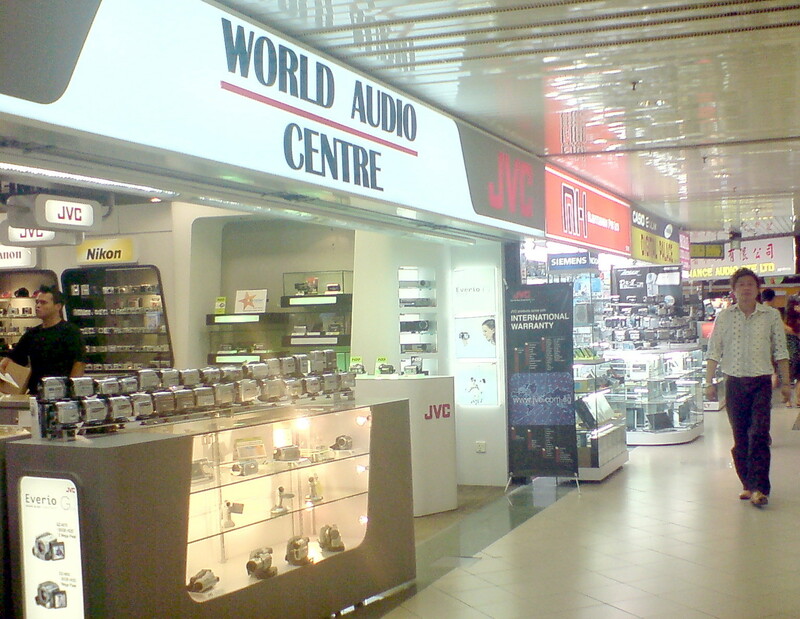 Even the stores labeled “audio” were hawking … video. No big deal. I ordered one online. But it’s always a little scary buying a deck without touching it first. It’s going to be your closest non-human collaborator. You want to heft it in your hand and ask, How heavy are you going to feel after two hours of interviewing rice farmers under the blazing sun? Are your buttons and jogwheels friendly or confusing? Will you smash into a million pieces if I drop you at a press conference? In the end you can’t really predict these things. The questions linger in my mind, though, and maybe that’s why I’ve managed to drop every deck I’ve ever owned at one time or another: I just need to know!